Not too many people will know that I was writing blog posts for months before I ever let anybody read a single solitary one. When I began blogging, it was an outlet for me, a way of conveying how I feel about something as inconspicuous as a single eyeshadow. 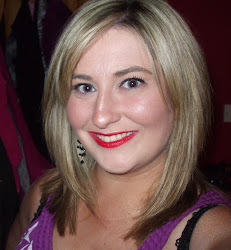 So back in October 2011, I took my first tentative steps into the blogging world. I had just completed a set of pretty brutal law exams called the FE1s, I had been lucky enough to be offered my dream graduate job which was due to commence the following summer, I had done as much travelling as I could bear, and I found myself with time on my hands looking for a way to occupy myself. No great brain science went into setting up a Blogger account or picking a name for the blog, and I was still unsure then about whether I would ever let anybody read my blog because it was such a labour of love for me and I was afraid that it would attract ridicule or criticism because I am not in the makeup industry and I have never wanted to work as a professional MUA. But somehow, here I am almost two years later, and I still have the motivation and drive to continue with this little blog. Undoubtedly, there are times when I just do not get a chance to even log onto Blogger- between work and a crazy personal life and trying to balance 100 things at any given time. I never want blogging to feel like a chore, so if I have too much on my plate, my blog will probably be the first thing that suffers. What blogging means to me is not an easy question to answer, and I had to sit down and think about why I blog, why I try to catch light for photos or I try to type up a blogpost even though I am absolutely exhausted from the day job (which will always be my priority). I think there are a few main reasons. Firstly, it's all about the community- talking to people, exchanging experiences and stories, sharing a similar interest with so many other people. 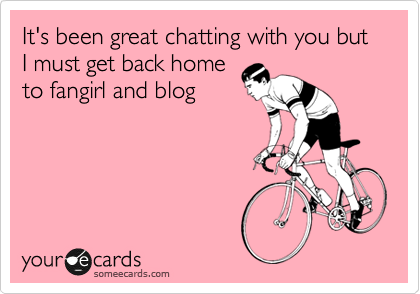 The Irish Blogging Community is fantastic- everybody is friendly, open, willing to share and support everybody else. It is really nice to be able to talk about makeup and cosmetics and acrylic storage and whatever else it is that is tickling my pickle at any given time. My fellow bloggers encourage and inspire me every day to keep at it. If I was not involved with blogging, I would not have the same level of interaction or inspiration, and I have come to think of some bloggers as friends already. I like the commitment of keeping a blog going and the satisfaction of seeing people from countries all over the world read my posts, watching my pageviews increase with every day, week and month that passes. I love when people comment on one of my posts and tell me that it has been helpful to them, that is the very reason I put finger to keyboard. I like reading back on old posts and seeing how far I have come, or take a step back from my blog and see how much I have achieved in pursuing this hobby. Blogging is not about freebies or fancy events, and that is certainly not the reason I have ever gotten into blogging in the first place. I have had the privilege of attending some amazing, fun, swanky events since I started blogging, and not only are they great fun and you get the opportunity to meet your fellow blogging buddies, but you can also fill your head with knowledge and immerse yourself in the business of beauty. Lastly, blogging and interacting with other blogs is pretty much the only outlet I have to talk about makeup with anybody! None of my friends are as interested as I am, nobody in my family is remotely interested, and we definitely do not chat about MAC's latest limited edition collection in the boardroom at work! 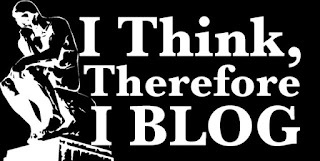 If I was not part of the blogging community, I would have no-one to interact with in terms of beauty and cosmetics. So that's just a little insight into my mentality and my sentimentality towards my blog. A huge thank you to each and every one of you that sticks with me and reads my posts and interacts with me on Facebook or Twitter or anywhere else.